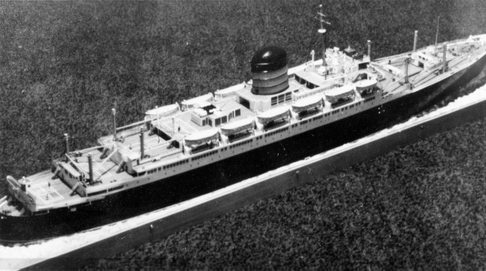 This model of the RMS Saxonia, was built in the UK, in the early 60's, working from drawings and pictures supplied by the Cunard Steam Ship Company in Great Britain. The hull was built of wood laminates, in what was called a "bread and butter" construction. The superstructure was built from wood, clad with what at that time was called "plasticard". Styrene sheet, which was not available at that time, would be the closest material now, to plasticard. It was built as a "waterline" model, with a simulated water base, unlike most of our later models built in Canada, which were "full hull" models. I originally built it as a promotional tool to introduce my company to Cunard. 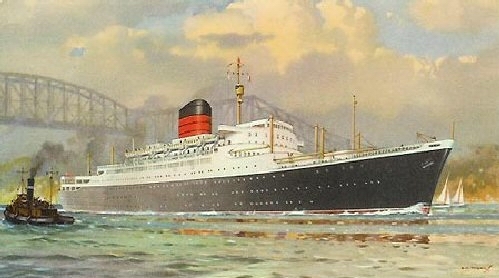 On completion, the model was well received at their Liverpool offices, but what I did not know at that time, was the Saxonia was having a refit, for their Mediterranean Cruises, and was to become RMS Carmania. 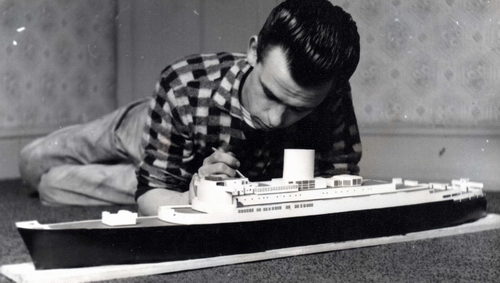 Cunard were very receptive to having the model, if we could show the additional deck pools and change its hull colour from black to green. To cut a long story short, we had inherited a model for our own collection. 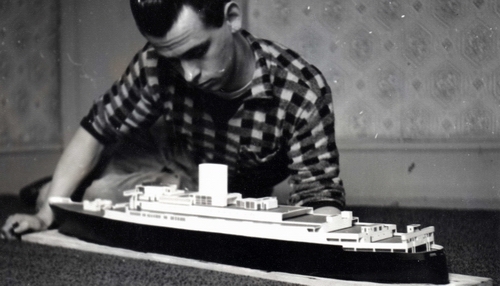 The model later received extensive water damage and was destroyed, before we left for Canada.